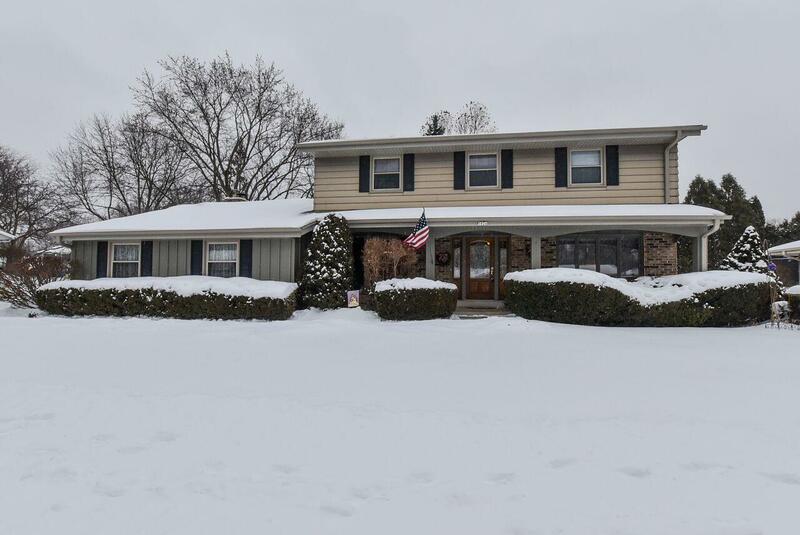 Proud original owner of 47 years offers this 4 bedroom 2 1/2 Colonial in Overlook West. Clean home. Great location near Whitnall Park. Huge, bright 1st floor utility room. Half bath on main floor has granite countertop. Formal dining room with built-in china cabinet. Large kitchen with newer flooring, built-in planning desk and open to family room featuring fall wall stone gas fireplace. Master bedroom has walk-in closet and private bathroom. Two other upper bedrooms have built-in desks. New tear off roof 2016. New furnace 2015. New hot water heater 2016. A/C unit new 2018. HMS Home Warranty. Great family home.